Resid'ilaverde - furnished studio rental 50 m2 Railway Station. 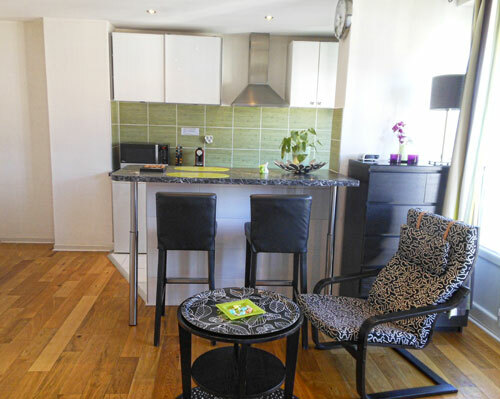 This apartment is ideal for 2 people, located on the 6th floor with elevator on the Avenue Alsace Lorraine 100 m from the train and bus stations in Grenoble. Facilities:Fully equipped kitchen with Nespresso coffee machine, refrigerator, oven, kettle, toaster. Air conditioner, washer and dryer, safe, bouquet Numéricable: LCD TV, WIFI high-speed broadband.